Day 1 (Monday) Arrive at Nairobi’s Jomo Kenyatta Airport (airport code NBO) and say Jambo to Kenya. After clearing customs and immigration, you’ll be met by our team and taken straight to your Nairobi hotel accommodation for the night, a journey of 30-45 minutes depending on traffic. Pre-departure meeting is at 5pm, so make sure your flight arrives in good time – or come a day or two earlier to explore this great city. Leaving Nairobi around 9.30am, today we head to the world renowned Masai Mara National Reserve. We enter Masai land where these habitual pastoralists are often seen tending their cattle from the side of the road. We pass through the town of Narok, and continue our drive possibly getting a glimpse of some wildlife along the way. The main section of road between Nairobi and the Mara is in a very poor state, so be prepared for a rough ride! We arrive at our campsite, Acacia Camp in the evening. Acacia Camp looks on to the Meguarra Hills and the stream that meanders by on the bottom end forms a natural border to the Masai Mara National Reserve. The Reserve remains unfenced, allowing wildlife to roam freely across into the surrounding area and if they choose – through our own camp! No need to be afraid, as the local ‘Askari’ will keep a look out for any unwanted predators. We depart shortly after sunrise on our game drive into the Masai Mara Reserve. The Masai Mara is well known as one of East Africa’s best safari reserves and is home to a wide variety of wildlife species. The Mara is famous for the Annual Migration, the movement of vast herds of over a million wildebeest, zebra and Thomson’s gazelle that cross over from the Serengeti in Tanzania in search of greener pastures. The Masai Mara is most popular between July and October when these vast herds feast on the fresh grazing here. Following these herbivores are Africa’s predators that are often seen at a kill during this period. 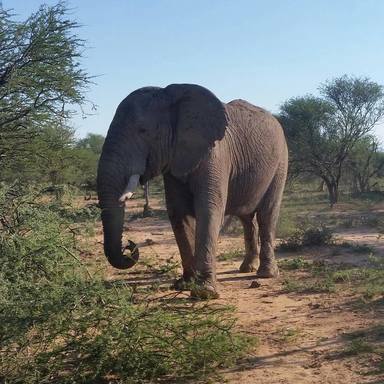 We game drive through a section of the park in search of the ‘Big 5’- elephant, rhino, buffalo, lion & leopard; along with the many other species of animals, reptiles and birds who call this wilderness home. Leaving Masai Mara, it is a lengthy drive to Lake Nakuru, famous for the thousands of lesser and greater flamingos that flock to this soda lake’s edge. A truly spectacular sight! This morning we begin our exploration of the Lake Nakuru National Park. Flamingo numbers vary depending on the water level, and when it is low the lake almost turns pink. The park was established as a sanctuary for black and white rhino, which are often seen. We spend the day searching for these pre-historic looking beasts as well as the elusive leopard, encountering buffalo, giraffe, and various antelope. After our game drive, we head back to camp for the night. After breakfast, we leave the Lake Nakuru area and head to Kisii/Kericho passing through the picturesque tea plantation areas along the way. These towns are the main commercial centres in the Gusii Highlands where cash crops like tea and coffee thrive because of the equatorial climate. We replenish our stocks before heading for Tanzania tomorrow. After stocking up on supplies for the next couple of days, we head to the Serengeti National Park, entering the park after lunch. 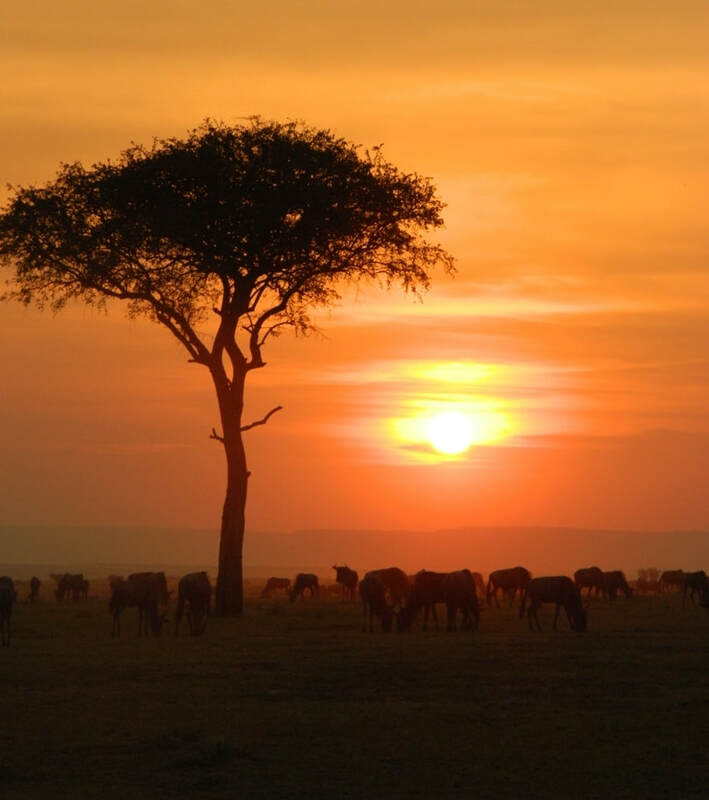 The Serengeti (Masai for “endless plains”) is famous for its enormous concentration of game (especially the big cats) and for the annual migration of millions of wildebeest, zebra and Thomson’s gazelles. The abundance of plains game in this area is truly astounding. We enter the park through the lesser travelled western corridor and game drive en-route to our campsite in the centre of the park. Tonight, we bush camp in the wild (no ablutions) surrounded by the sounds of the African bushveld, pierced only by the calls of the nocturnal wildlife. In the morning, we head off for another game drive and explore the landscape in search of the resident wildlife. With some luck, we may see some of Africa’s ‘Big 5’! We rise early, pack up camp and continue our game drive through the Serengeti National Park. We head to the southern part of the park where we have the chance to see the endless plains this park is renowned for. We cross from the Serengeti to the Ngorongoro Conservation area at lunch time and begin our climb up the steep Crater edge. Tonight’s camp (basic ablutions) on the crater rim sharply contrasts the warmer plains below - we suggest you bring your winter woollies as it can get very cold at night. After breakfast, we begin our journey back to Nairobi. On arrival in the late afternoon, we exchange addresses and part ways, having just experienced a safari trip of a lifetime! Accommodation We spend each night in a secure campsite where you will be required to put up & down your own tent. There are a wide range of great campsites in Africa, many with activities, bars, restaurants and excellent facilities. Some campsites may not have a shower or a beer available, though most have running water - whether it is hot or cold, respectively, is another matter! Sometimes conditions can be challenging – it may be dusty or rainy, it can get exceedingly hot or very cold – come prepared for the respective season you’re travelling in and you’ll have little to worry about. Camping tours are adventurous in nature, we generally carry clients who enjoy being outdoors and don’t mind a little discomfort in exchange for seeing and doing a lot of activities in a short period of time. Our trips are all group tours so clients must be comfortable sharing their space and experiences with other like-minded travellers who are from various parts of the world.